Professor Zhou is well known in Greater China for is pioneering work on consumer behavior in the Chinese cultural context. Click here for a list of his publications at Google Scholar (although if you can access ProQuest you can get a more accurate list). The student of the prolific Russell Belk , many core approaches of Belk's have been adopted and adapted by Zhou. A strong emphasis on consumption and its meaning to individuals is what comes across most strongly. His paper with Belk, in JCR, titled Becoming a Consumer Society: A Longitudinal and Cross-Culture Study, is a good example of how the focus is placed on the Chinese cultural setting. More recently, papers like the one appearing in JOA, Chinese Consumer Readings of Global and Local Advertising Appeals, hit right at the currently vogue assumptions of a flat world. TAM had a chance to sit down with Professor Zhou for a short talk. Even before we started, he was scribbling down models and relationships that drew inspiration from classical Chinese phrases, Buddhism concepts, and of course marketing. The world's market is globalizing; At the same time it is going local. That's Ying and Yang working together. Length: 16 minutes. Download MP3 7.8MB (Right click->Save As). 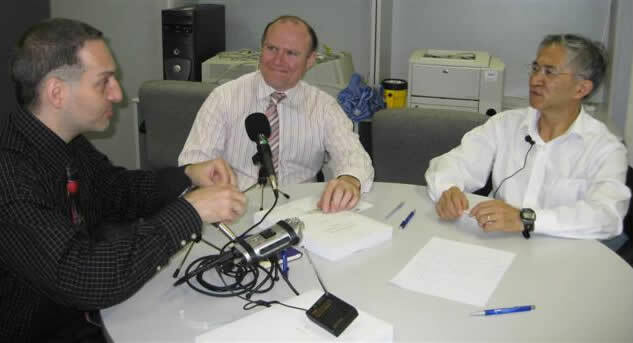 Podcasting at HK City U. When you have the tangible you want the intangible. Marketing's lack of an emphasis on Chinese culture directly relates to money--when people have money they demand more from needs that develop into wants which end with wish. Within Chinese culture, everything is not just Guanxi based; it is also a hierarchical. Focusing on the local is still important. When people are exposed to the global environment, they try to escape and seek for their own local identity. People are scared to loose their local identity, if they loose it, they have nothing else. Marketing might be able to step in and create that sense of local identity.